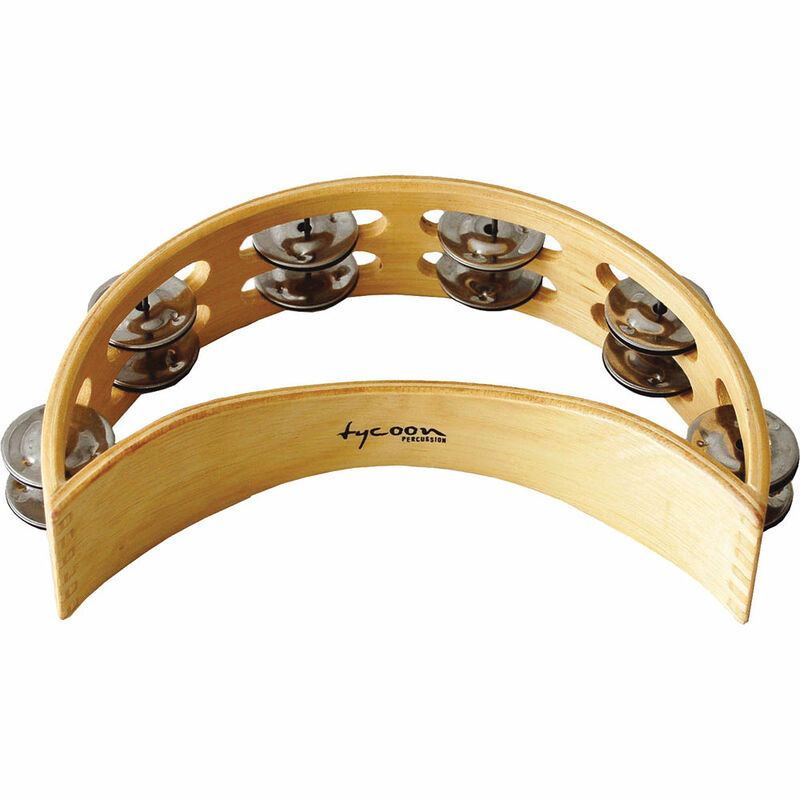 The Double Row Wooden Moon Tambourine with 12 Pairs of Bright Chrome Jingles from Tycoon Percussion is a wooden tambourine produced for greater playability in a variety of musical situations. Its double-row designed chrome and brass-plated steel alloy jingles deliver crisp, cutting sounds. The moon-shaped shells are constructed from environmentally-friendly slam oak wood. Box Dimensions (LxWxH) 9.5 x 6.0 x 2.25"